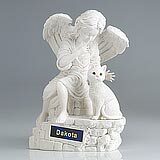 "Yes we did receive our shipment and were very pleased with it---it was more beautiful then the pictures depicted! 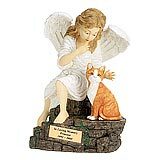 Thank you very much for creating such a beautiful resting place for our daughter Tessie!!! " 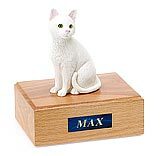 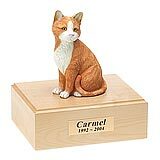 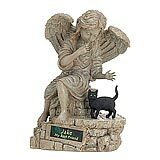 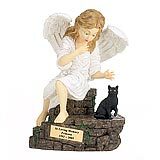 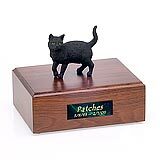 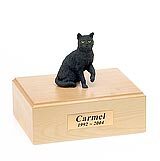 All available Shorthair cat urns and memorials will be displayed with the figurine on the Shorthair urn you select and in the appropriate size.